One of the most common problems faced by the oral radiologist while taking radiograph of third molars is gag reflex. The gag reflex is a normal involuntary defense mechanism that prevents foreign bodies from entering the trachea, pharynx, or larynx. This sensitivity is manifested when the film is placed in the oral cavity adjacent to the posterior dorsum of tongue in case of mandibular teeth and soft palate in case of maxillary teeth. Due to this gag reflex, it is often impossible to take periapical radiograph, and the patient is subjected to extraoral radiography, which exposes patient to more expensive and higher radiation exposures techniques. In an effort, to find a feasible alternative technique for third molar imaging, this new technique was investigated with an aim to device a new technique with which the radiograph of maxillary and mandibular third molars can be obtained without causing much discomfort and additional financial burden to the patient. 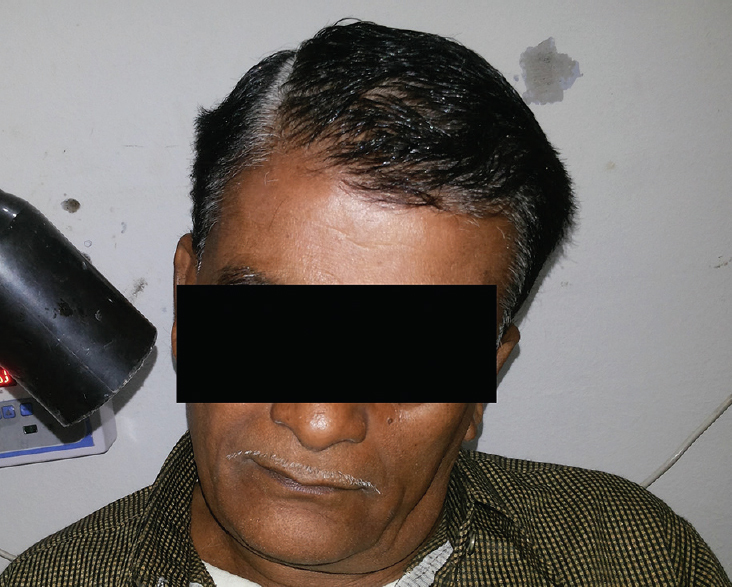 The present technique was used and tested for validation on the routine patients who were referred to the oral radiology department for intraoral periapical radiograph of maxillary or mandibular third molars and who demonstrated severe gagging. Some of these patients were subjected for extraoral radiographic examination because of the inability of the radiologist to relax the patient and thus suppress the gag reflex, while those who could not afford the higher cost extraoral radiography were recalled next day early morning. 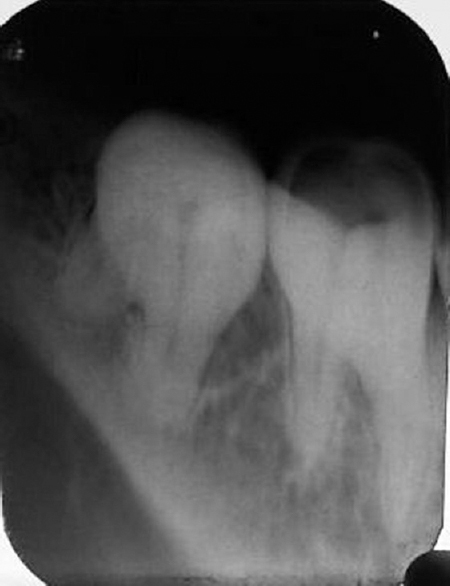 In all these patients, the present technique was tried in an attempt to devise a new technique for third molar radiography with the least discomfort to the patient. The patient is seated upright in the dental chair with the mid-saggital plane perpendicular to the floor for both maxillary and mandibular arches. The occlusal plane is parallel to the floor for maxillary third molar and for mandibular third molar, and a line joining the tragus to the corner of mouth is parallel to the floor. 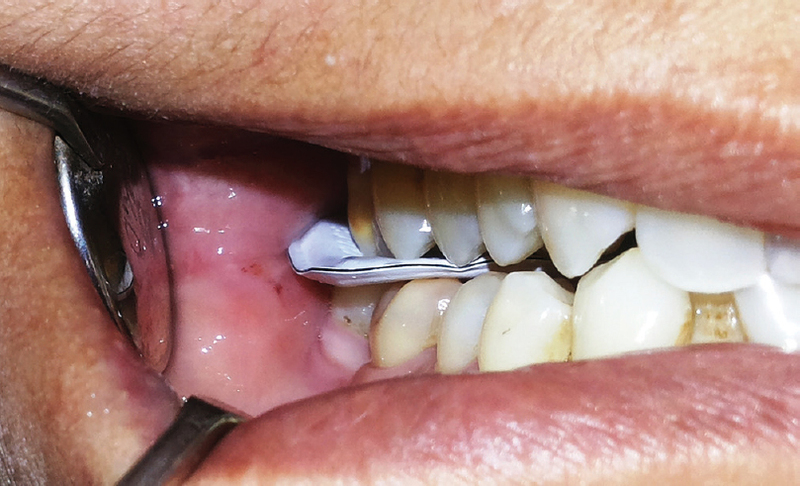 An adult size of two films (31 mm × 41 mm) is inserted in the patient's mouth with the help of an artery forceps in a direction parallel to the occlusal plane. The film is placed as posteriorly as possible such that it completely covers the occlusal surface of the third molar to be radiographed. The surface of the teeth with the embossed dot is toward the arch to be radiographed with the long axis of the film placed parallel to the floor in contrast to the periapical film radiography, in which, it is placed perpendicular to the floor. [Figure 1] The patient is advised to gently hold the film between the occlusal surfaces of maxillary and mandibular teeth just like the large occlusal film [Figure 2]. The patient is advised not to apply excessive pressure while holding the film to prevent damage to the film emulsion. After placing the film, the patient's head is tilted slightly to the opposite side to bring the X-ray film and the teeth to be radiographed in a desirable relationship with the tube head, and the beam is directed toward the center of the film with a vertical angulation of +60° to + 65° for maxillary third molar and for mandibular third molar with a vertical angulation of −25° to −30° [Figure 3] and [Figure 4]. Exposure parameters used is the same as that used for periapical projections. 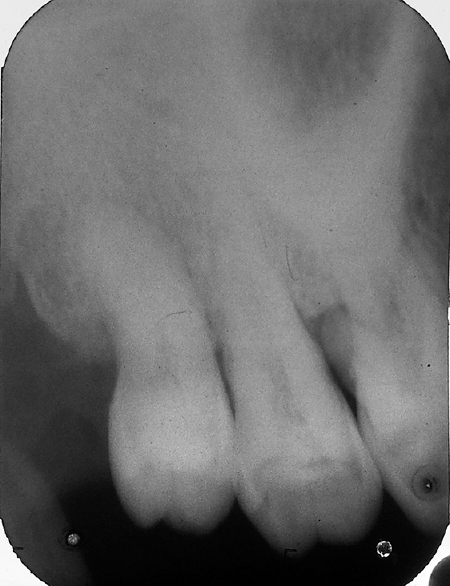 The resultant radiograph showed a complete image of crown and roots of the mandibular third molars. The anatomy of the crown and roots were clearly visible along with its surrounding vital structures, thus helpful in determining the relationship of the roots with the surrounding structures. There was no superimposition of zygomatic process or zygomatic bone on the roots of maxillary third molars. However, the images were slightly elongated in some cases [Figure 5] and [Figure 6]. Various intraoral and extraoral radiographic techniques for imaging different parts of the oral cavity are well documented in the literature that is being used by the oral radiologist without much difficulty. However, some of these techniques need to be modified depending on the patient's physical and emotional characteristics. One of the most commonly faced problems is gag reflex even at the slightest provocation. Gagging, usually, is precipitated during third molar imaging using periapical radiographs. The reason for gagging may be apprehension and fright of the unknown procedures or the presence of very sensitive tissues which precipitate gag on stimulation. Different measures have been described in the literature to overcome this, which includes brief explanation to the patient about the radiographic procedure, demonstrating the procedure on other patient which helps to reduce the anxiety of the patient. Another method of reducing gag reflex is by indulging the patient in some other activities such as asking the patient to hold breath or keep foot or arm suspended during film placement and exposure which may cause distraction of the patient and thus relieving the gag reaction. 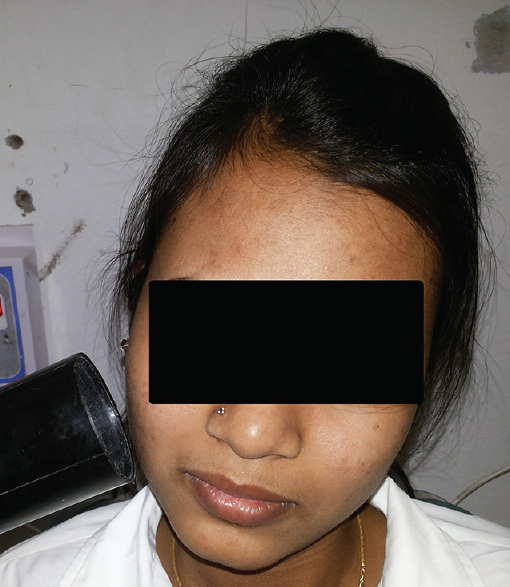 In severe cases, topical anesthetic agent may be used. If none of the above-mentioned measures is able to relieve or reduce the gag reflex in the patient, extraoral radiography is advised. Extraoral radiographic techniques not only subject the patient to comparatively higher doses of radiation but also it increases the cost of radiography. In the patients who are referred for third molar radiographs before extraction and who demonstrate severe gagging, this modified occlusal technique can be used. 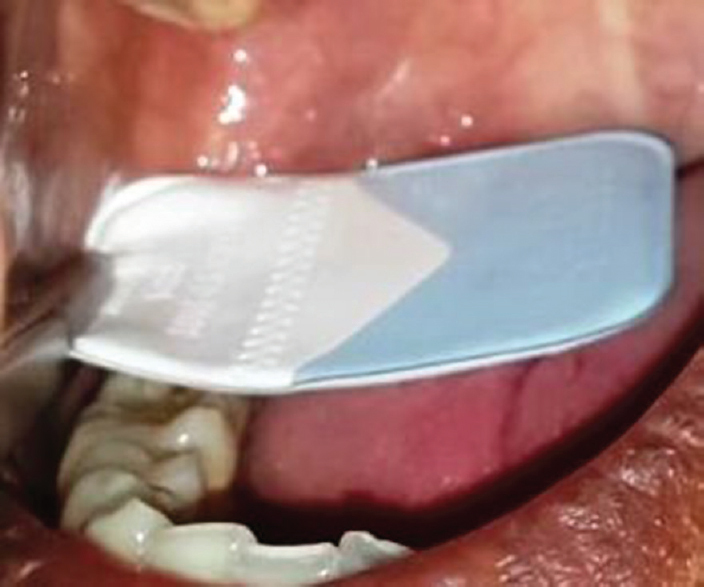 This modified technique uses the regular size of two periapical films which are used for periapical projections, thus causing no extra financial burden to the patient. The film is placed between the occlusal surfaces of maxillary and mandibular teeth which prevent it from coming in contact with the soft palate or other sensitive parts of oral mucosa which may stimulate gag reflex. Due to this, the patient can stabilize the film without much difficulty. Most commonly advised treatment for third molars is extraction which may be either due to caries or impaction. In such cases, this modified technique can be used since the resultant image shows the full length of the third molar including crown and root morphology and its relation to surrounding vital structures which are required by the surgeons before extraction. The advantages of this technique are that there is no superimposition of the zygomatic process of maxilla or zygomatic bone on the roots of the maxillary third molar, ease of film positioning in patient's mouth, and no exaggeration of gag reflex, thus more patient cooperation. The limitation of this technique is the slight amount of elongation of the resultant image which may occur and film bending or damage to the film emulsion due to excessive pressure applied by the patient while holding the film between maxillary and mandibular teeth. We have proposed a new modification of occlusal radiography using intraoral periapical film for imaging maxillary and mandibular third molars in patients with the severe gag reflex. This technique can prevent the majority of patients from being exposed to higher exposure extraoral radiography as well as can reduces the extra financial burden to the patients due to the higher cost of extraoral radiography. Kalra A, Kinra M, Gupta K, Mittal N, Bhanote S, Goyal M. Gaggers and their management. Indian J Dent Sci 2012;5:100-3. White SC, Pharoah MJ. Oral Radiology: Principles and Interpretation. St. Louis, Mo: Mosby/Elsevier; 2004.